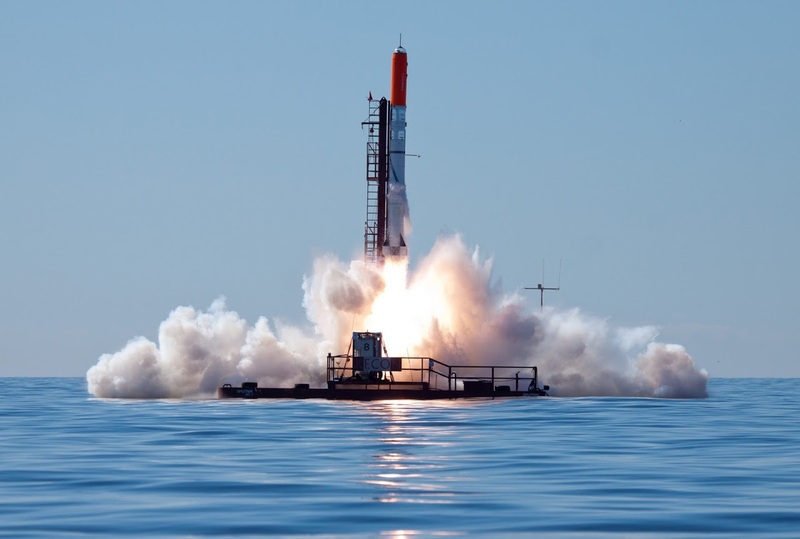 Rockets, Drones and trying to get to the edge of Space. 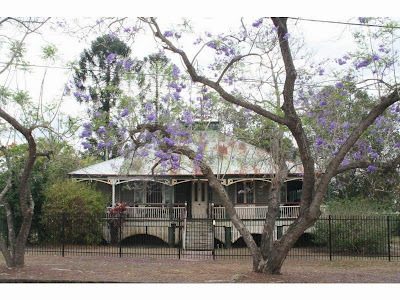 After 20 years in Brisbane, we have decided to move North, on our Northern adventure, most likely to Cairns. We spent several months in Cairns as part of our honeymoon and fell in love with the place and finally we have decided that now is the time to move there. We are not sure what part of Cairns, or if we will settle in Cairns. We are thinking about moving to a small acreage or something with a bit of space, so that I can continue to fly drones and solar balloons close to home. We will be simplifying our lifestyle, as I am considering undertaking my PhD, which is a big step, so we will see what happens. I will still be working during this time as well. We are selling our lovely house where we have had many good times, and many friends have been around for visits, we will miss our fantastic neighbors, and having such a nice large park behind us, but being on acreage should give us that familiar feeling of space that we are used to here. I had a very interesting conversation with Igor from GIS People about Drones and GIS the other day, it is always good to catch up with people from varying industries and to see their thoughts on Drones and what and where they can be used. If you are interested in attending click here and sign up I hope to see many people there for the day. I will be there, with a friend of mine Ash and we will be talking Drones, Quad-Copters, Octo-copters and how Unmanned Aerial Vehicles (UAV) can be used to integrate with GIS and other systems. If you are just curious about what drones can do or how they work come and say Hi and have a look and touch a few. We will have several different types and level of drones from hobby level to professional level, such as this Octo-Copter. I hope that I will run into several old friends there. If you see me there make sure and come up and say Hello :) to me. There is an idea, a concept that we should build a ship based around the star ship Enterprise, and that we should use that ship to explore our solar system. To me, there is no question that we must leave this Earth and explore. It is in our nature to wander what is around the next corner or over the next hill, we have been to all parts of this world and the time is now, to move on. "Space is not the final frontier - it is our next frontier"
I think the idea of building a ship based around the most well know Starship, the Enterprise is a great idea, it is what piqued my interest into reading more about it at http://www.buildtheenterprise.org/. I was expecting it to be a vague idea, but the person has put a fair bit of thought and research into this proposal. BTE Dan, is not suggesting that we build it right now, what he is suggesting that a feasibility study be undertaken to determine if it is indeed possible, with the current levels of technology that we have available to us today. At first I thought the idea of basing a modern star ship on TV series from 1966 was stupid, and then I realized that the reason I was reading the article was because of the name Enterprise and the association with Star Trek. I then realized that the man on the street isn't interested in thrust from rocket engines, or toilet systems of space ships, they need an idea that they can get behind, this may be that idea. The American government over 40 years ago, with what could now be considered primitive computer power was able to launch a vehicle from earth, land on the moon and return safely, considering how far we have come with computing power and other technologies, we are ready to begin on a ship of this scale, it won't be easy, but nothing great comes easy. I know this ship will never be built, or at least not that I will ever see. But I am excited by what is happening in the civilian space industry, and am hopeful that the idea of the Build the Enterprise will start more discussion and will get us one step closer to moving into space. 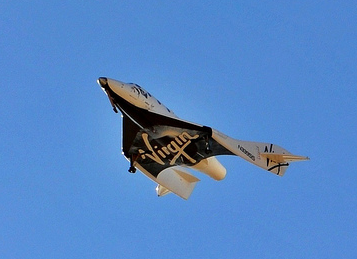 Manned flight to 100 km for a few minutes of weightless and then back to earth. Backed by Billionaire Richard Branson. The first commercial space flight is expected to start this year, the first passengers will be Richard, and two of his children. Each trip will cost about USD $200,000 or you can buy all 5 available seats and take your mates for a million dollars. This will be the first space tourism company and currently has over 500 people paid up and booked ready to go to space. Interestingly this craft will not be approved to fly by the government and passengers will fly under informed consent, basically this means they sign a bit of paper that says this is a risky venture and I understand the risk, and that I am still willing to take this risk. This will not be like flying in an aircraft. Backed by Billionaire Elon Musk, of Tesla Car Company. Has 50 launches planned with over 4 Billion dollars in contracts from NASA and other space agencies. 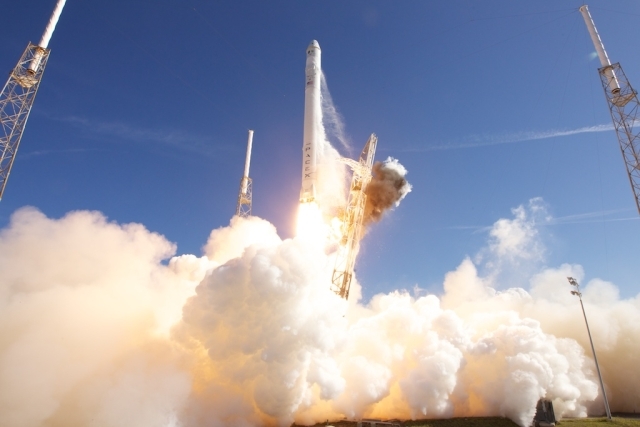 Their Falcon 9 recently launched and re-supplied the International Space Station in orbit. This is the commercial aspect of space travel, moving large loads of commercial equipment and supplies from the Earth to close orbit, similar to the private railways in America over one hundred years ago. Most (maybe all) of the SPACE X rockets are unmanned. Non profit, open source private space company run by Kristian vonBengtson to demonstrate that it can be done without the massive costs of other companies. This company is funded by donations from people like you and I.
I am probably most excited by this group as its open source, being done on a very limited budget of probably a few million where as the other two have budgets of Billions of dollars. I think any radical new space technologies are likely to come from here rather then the evolutionary nature of the other two, as they have the budgets to do things they way they are known of no, rather than having to come up with radical new break through solutions. 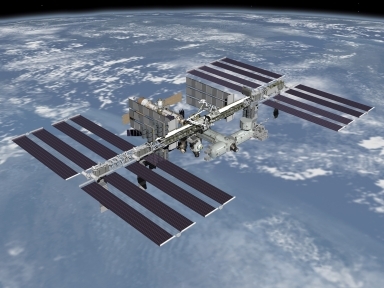 See the International Space Station (ISS) fly over Australia and New Zealand. There are many good viewing opportunities of the International Space Station this week for people in Australia and New Zealand. Below is a list of links that take you to the end of this article where there is a list of several major cities in Australia and New Zealand listing times and where to look in the sky to see the Space station. 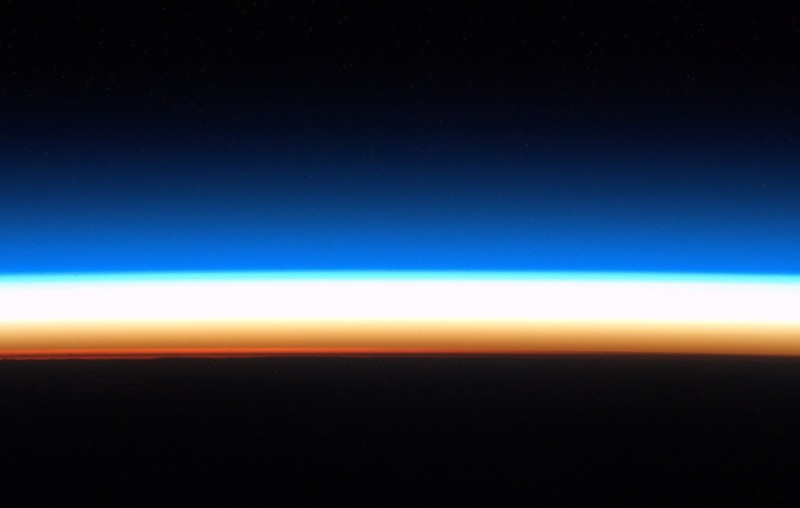 The image to the right is of a Sunrise as viewed from the space station, the astronauts would see several of these per day. http://spaceflight.nasa.gov/realdata/sightings/ This is a NASA site that lets you see when the ISS and other satellites are flying overhead, you can enter GPS coordinates or your city name, and this site will show you when the next several over passes are happening. This site also will show you when about 400 other satellites are passing over head as well. http://spotthestation.nasa.gov/ This is an email alert service from NASA and will email you for your location whenever the ISS is going to over pass your area. There are many small apps that you can get for iOS, Android, Windows and many other phones / tablets that will show you what is in the sky above you. Many of these will also include alarms that will warn you as the ISS or other satellites are about to pass. Stare at the sky, until you see the third brightest object move overhead ;) although this sounds silly, its not really, this was meant to encourage people to look up at the stars. If you do it often enough you will eventually notice the ISS. For the last few weeks I have been following Chris Hadfield on Google+ and his amazing photos that he takes from the space station, and the geek in me thought it was pretty cool to watch a twitter conversation between Captain Kirk and Chris Hadfield. Take a walk outside, look up at the stars, wonder what is out there, show the kids and explain to them that there are 6 men living up there inside a Space Station, a space station that is a combined effort of many planets of Earth. Hopefully this will encourage them to become curious and want to learn more about the stars, space and what can be done out there. After a 17 year break from formal University Study, I have decided to return to university and undertake a second Master degree. My first Master degree was in Geographic Information Systems (MGIS), this one will be a Master Business Administration (MBA) from Southern Cross University. I have been thinking for a while about doing some more study for the last several years, and was thinking about either a PhD in Aerospace or a MBA in marketing, and have decided for a few reasons on doing the MBA at this time. For the last several years, it has become evident to me, that marketing is something that I need more knowledge and expertise about. A friend of mine, the one who flew the 737 Simulator is also enrolled in this course at this time, and I thought the opportunity to study with some one I knew would make it more fun and easier, as I will have someone to discuss the topics with. I am excited but also slightly nervous about starting education again, as I was never a big fan of exams or exam conditions, although the more I work, the more I realize how often I am actually in exam conditions, such as when in meetings with clients, they do not want to see me looking up an answer to a question, they expect me to know the answer. Where I can I will be attempting to use my internal projects for projects and assignments, so that I can begin to see improvements and the changes to my projects as I complete this study. This will also meant that I am familiar with the 'current data' and do not have to spend time trying to find companies / projects to do assignments on. This means that I will need to complete 120 sections (which will take about 10 or 15 hours each section), 24 assignments and 12 exams. Having had a quick look at my 6 electives options, there are some that are purely project based, so I will be able to reduce the number of exams that I have to do, which is my preferred option. Each subject is meant to be about 150 hours of work, all up a total of 1800 hours of expected work to complete this masters. Which reduces down to 45 weeks of 40 hour weeks. There are three trimesters a year, which is my preferred choice of study, there is no reason, that I need a 4 month break from study over the Summer period. There was some small errors and inconsistencies between the website, packing list and what actually arrived, nothing major was wrong just small errors, such as the website has the text book listed as the Australian edition, but I was sent the Global edition, small issues like that - that make you do a double take and check that you have the right source material. What I have read of the study guide and textbook so far look well laid out and easy to read and seem to make sense, I have nearly completed my first weeks work for the marketing subject. There has been several questions lately on the GIS & Technological Innovation Forum and GIS on linkedin in the last few weeks with people asking if they should undertake their master degree in GIS, and to me its a more generic question should people undertake more study. I have always been an advocate of education, whether formal or informal, and consider life long learning a core part of what I am and what I do, and is necessary for me to do my work. I feel that i have benefited greatly from having had a Master degree in the past sometimes in informal ways and sometimes as a requirement to 'getting the job'. The style of work that you do and are expected to do after having a master degree I have found in my personal experience to be a better 'quality' of work and more interesting projects, I have also noticed that by having a master degree, more trust or respect is given to you when you start at a new organisation or with a new client. I have tended to do a fair bit of R&D style work, and having a master degree has made it possible for me to work in those areas. I see this second master degree as rounding off my original education, rather than it taking me down a different path to the path I am on now. 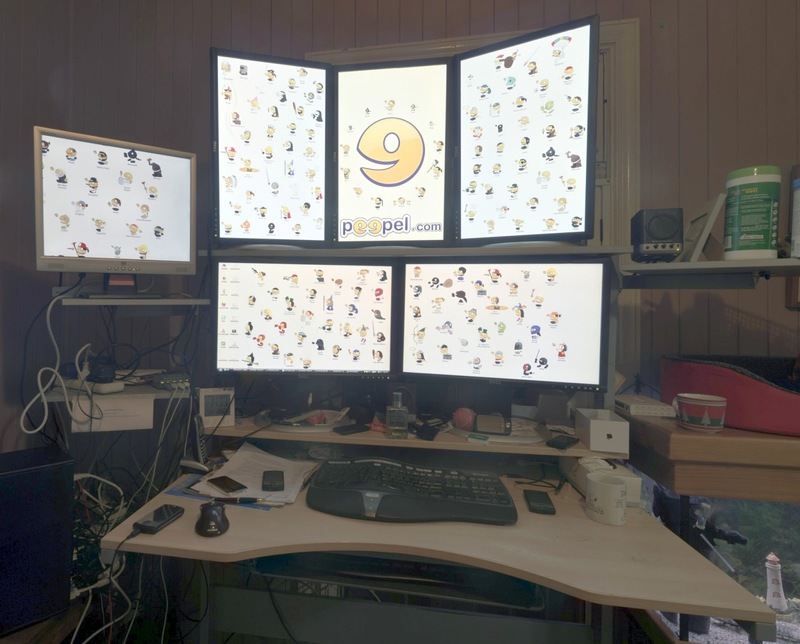 Why do I have 6 monitors ? Why do I have 6 monitors on my desk ? The short answer is to make me more efficient, and the WOW factor when people / clients walk into my office. Nearly everyone that has been here remembers seeing my desk and monitors ;), I will run into people and they will not recognize me, or my name, but once I start talking about what I do, they will often remark, I remember you now, they guy with all those monitors. It was originally set up to show clients that our water management software, Jobs2Crews was able to scale to a large multiple monitor setup, and is still often used for this scenario. Dual landscape 24" monitors, 1 portrait landscape 24" monitors normal use, monitoring a few other processes. I rarely use this setup. Dual landscape 24" monitors, 3 portrait landscape 24" monitors usually used for demonstrating mapping software. This is Demo mode or impress the clients mode. This would be my second most used option. Unfortunately this configuration does not play movies well I have tried but its more annoying and just better to watch it one either the TV, the projector or just on one of the 24" monitors. Dual landscape 24" monitors, 3 portrait landscape 24" monitors, 1 19" monitor rarely used.This Layout is only really used if we are doing demonstrations of Australian maps, as the very western point of Western Australia sticks out into the 19" monitor. At the moment I only have 4 of my monitors connected as I have not had the time to replace a broken video card, but will do soon. 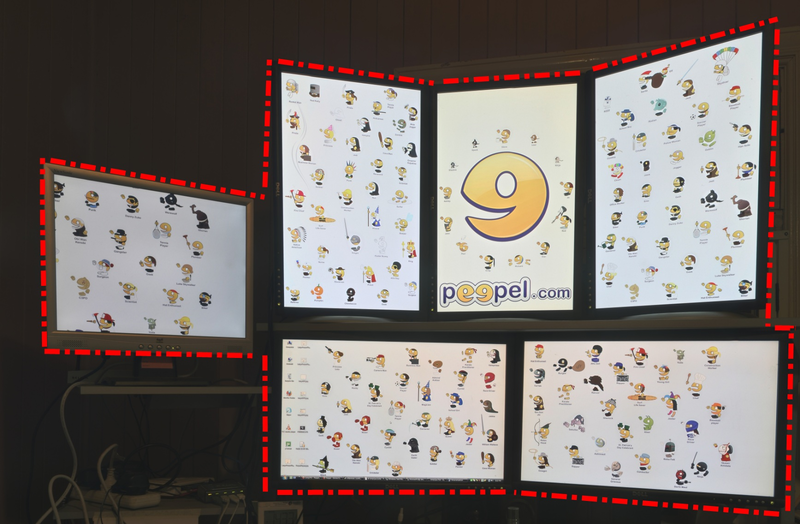 I have 5 Dell 24" monitors 2 at eye level in landscape mode and three above that in portrait mode. There is a sixth monitor on a swing arm to the left. 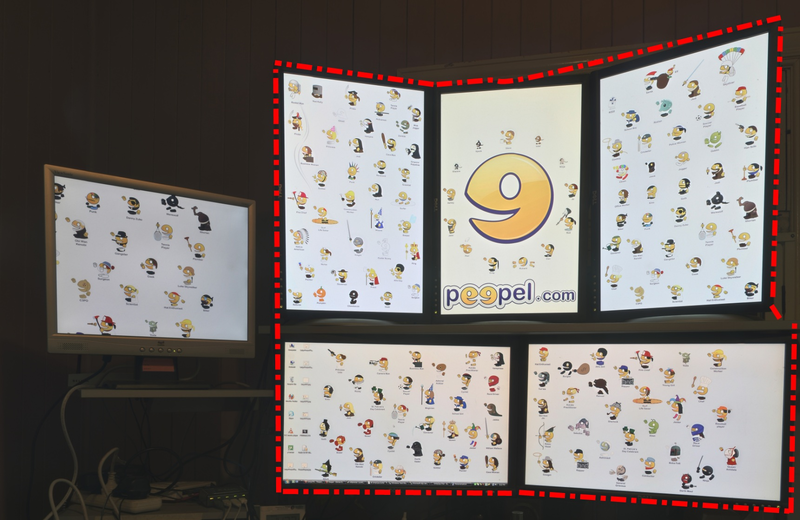 The top three monitors are slightly tilted horizontally relative to the bottom three so that the cursor lines up better when I go from the top to the bottom or go back to the top. I have tried various combinations and find that this current setup is best for me, and my work style and what I do. Others may find that different setups work better for them. I have tried just using two of the 24" monitors in landscape mode and two 19" monitors on swing arm either sides that were swung in so that they were about 65' to my left and right, but I found this very awkward to use and felt very claustrophobic to use. I originally thought that this would be a very good setup where I was 'surrounded' by monitors but it just didn't work for me, and I have not seen many people that have set up multiple monitors this way. I can not physically reach or really read the information easily at the very top of the top three monitors, the top of these monitors would be about 8 foot high, which is higher than the ceiling height in modern average homes in Australia, luckily my home has 12 foot ceilings. The top three monitors are generally used for review, so if I am running a process that I have to check on regularly, I can put the window up there, and if I need to interact with that window drag it back down, I often have the weather radar maps there. They area also to show large maps. The reason these monitors are so high, is due to the fact that they are on a stand up desk and I am over 6 foot tall. 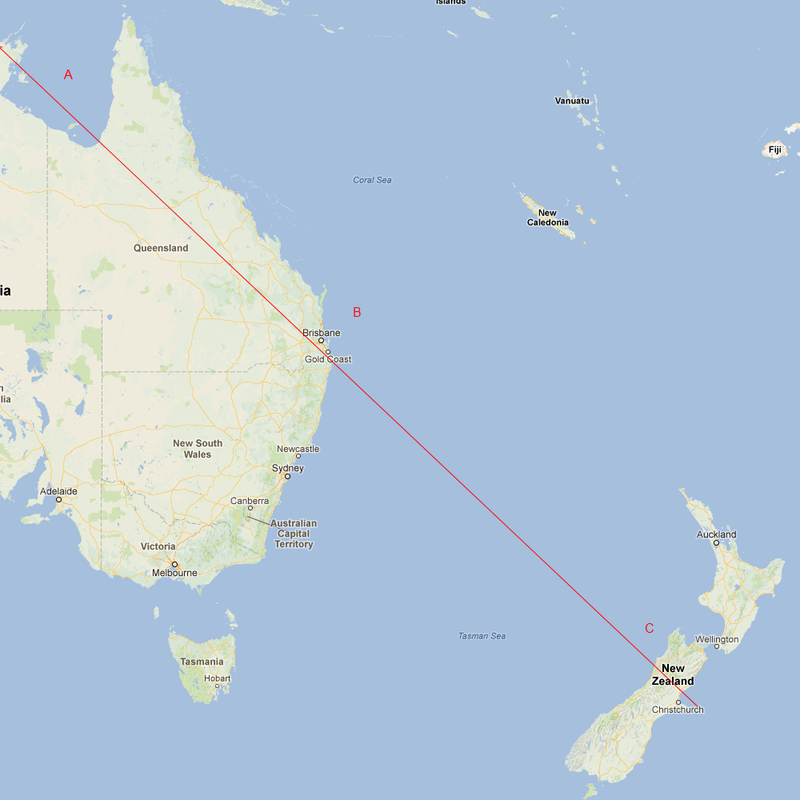 The other night I was watching the International Space Station (ISS) over passing Brisbane and by using the ISS tracker I realized that as the ISS disappeared over the horizon it was now above New Zealand. This meant that while I was standing on the road outside my house in Suburban Brisbane, I was able to see an object in the air that was currently located over New Zealand. I was pretty amazed that it was still that far away and I could see it, as I continued to monitor the ISS as it approached the horizon I was able to see that it passed fairly quickly South of Sydney and was still easily visible. I lost sight of the ISS when it was about 10 degrees above the horizon behind some trees and noticed that it was about to cross the coast of New Zealand which was about 2300 km away. Path of International Space Station Click for Larger Image. I estimate from where it disappeared that it would have been visible if I could spot it early, about 10 degrees above the horizon that it would be visible from the middle of the Gulf of Carpentaria (A in the image). Over B, which is where i was located all the way to the coast of New Zealand (C in the image ) a total distance of 4600 km. The distances it will be visible from will vary depending on the height of the ISS, the orbit decays (gets closer to earth) and then rockets are used to increase the distance from Earth, I do not know when the ISS flew over if it was high, middle or a low height. The time and hence distance it will be visible for will also vary on how close the overpass is, this over pass was at 62 degrees so was a medium length overpass, a 20 degree overpass (Such as the overpass tonight 8th Jan 2013) would be noticeably less distance. If you are not sure why - get a tennis / basket ball and mark a dot where you are and move your finger over the ball as if it was the ISS. See the International Space Station pass over Brisbane to tonight. At the moment there are six men, who are working and living in an artificial environment 370 km above the earth, travelling at nearly 8 km per second (28,000 km per hour) and tonight as it does every few weeks it will pass over our heads. This is the International Space Station. From my experience last time, you won't be able to spot it until it is about 10 or 15 degrees above the horizon and will be pretty easy to spot. It's appears a lot brighter than the background stars and is noticeably moving across the sky. The space station is the third brightest object in the sky after the Sun and the moon. I will be in Graceville park (with dogs) which is a good location to see it from as it is a large space so the horizon is very low. If anyone wants to come along feel free to come over and say hello. Here is a link to the NASA site about how to see the Space Station, and you can sign up here http://spotthestation.nasa.gov/ to be notified of when it is flying over your location. I think that this is something fantastic to show the kids as it may spark their imagination about space, and get them thinking about science. And since it is school holidays they can stay up a bit later if young. 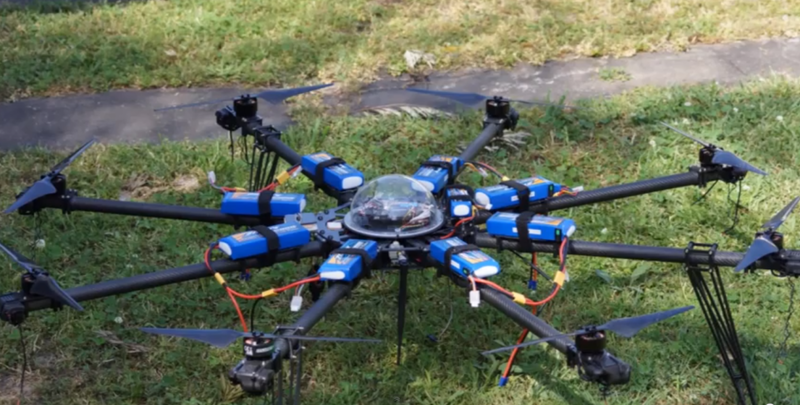 This is the personal blog of Stephen Kelly, talking about Drones, Rockets and other technologies. 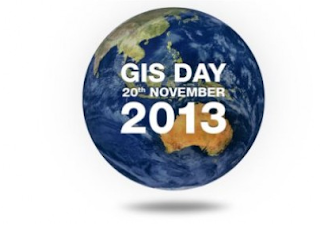 I work with maps, databases and solving problems. Currently studying towards an MBA, and then a PhD.